Remember how I just went to Italy? I'm still having withdrawals. 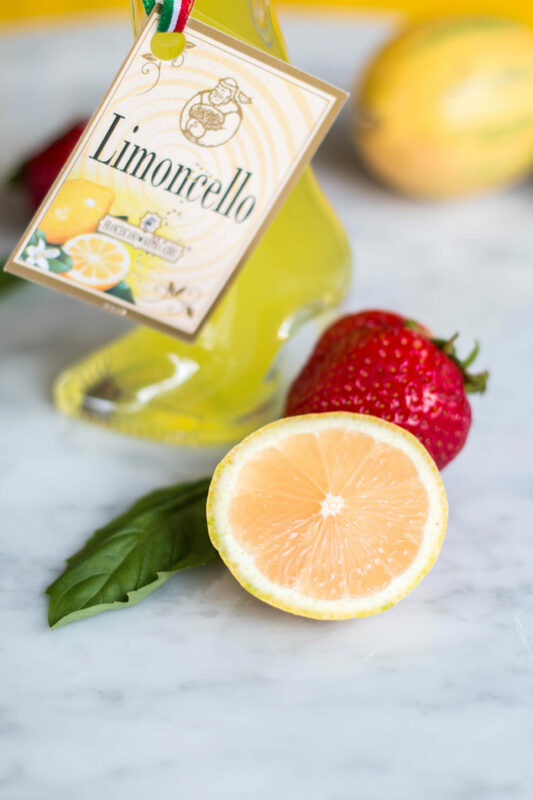 One of my favorite Italian beverages to enjoy, besides wine, is good ol' limoncello, a lemon-based liqueur. When I was heading out of Rome on my way back to NYC, I decided to grab a bottle to bring back with me so I could play around and make a yummy cocktail! 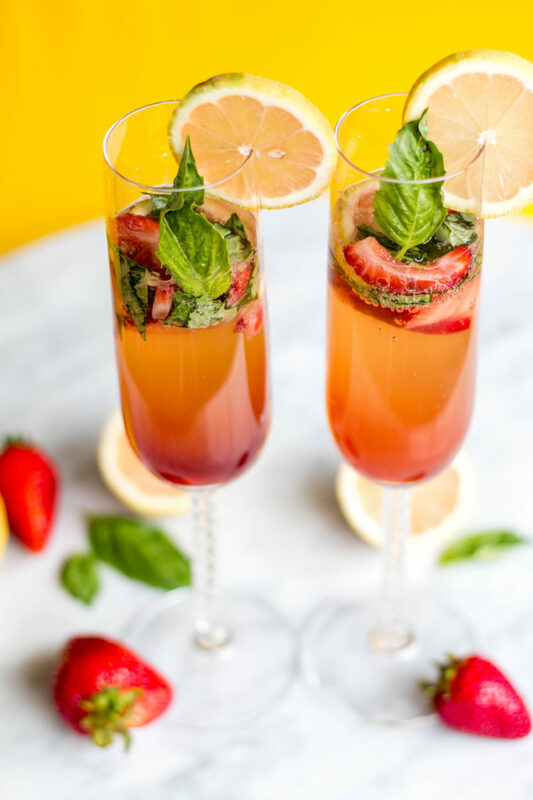 I looked on Pinterest for inspiration, and decided to combine some seasonal fruit and fresh herbs, to make a Strawberry + Basil Limoncello Cocktail. 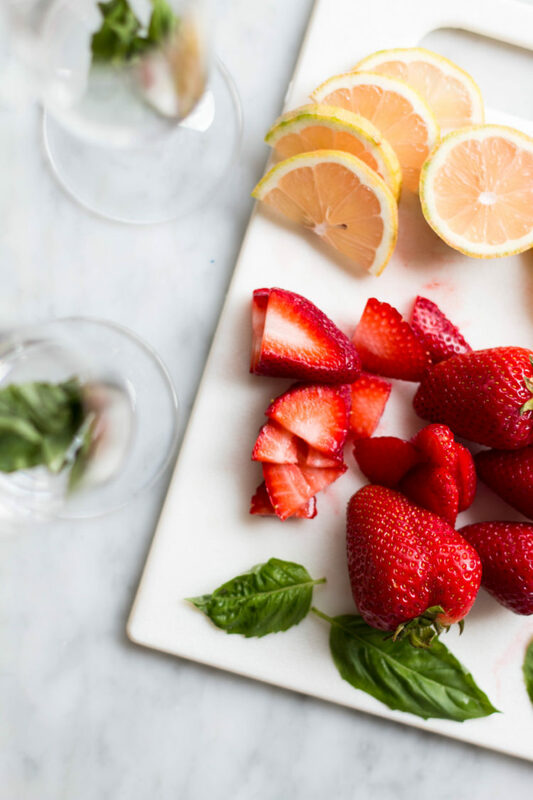 Here's what to do: 1) Slice up your fresh lemons and strawberries; wash and rip up a few basil leaves. 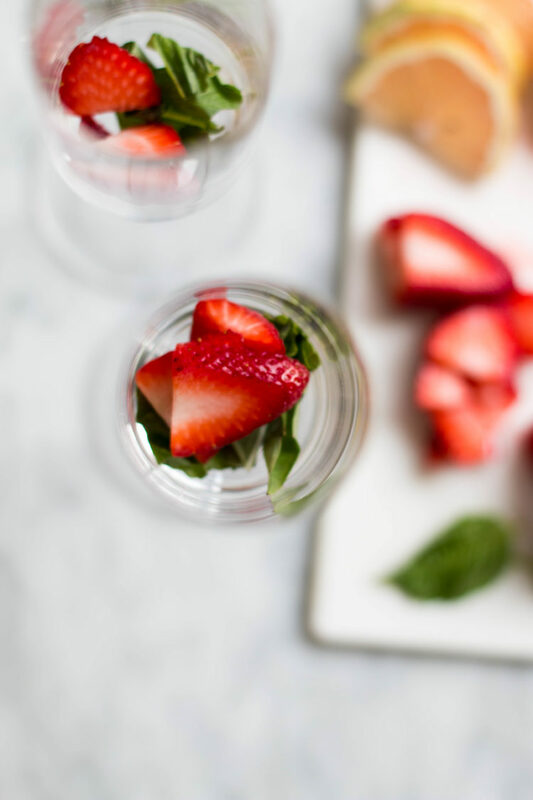 2) Combine fresh strawberries, basil leaves, and 1 oz. vodka in a cocktail glass. Muddle ingredients together and let sit to steep for 10 minutes. Divide muddled mixture between cocktail glasses. 3) Measure 1 oz. of vodka into each cocktail glass. 4) Gently pour limoncello on top of vodka and muddled mixture. 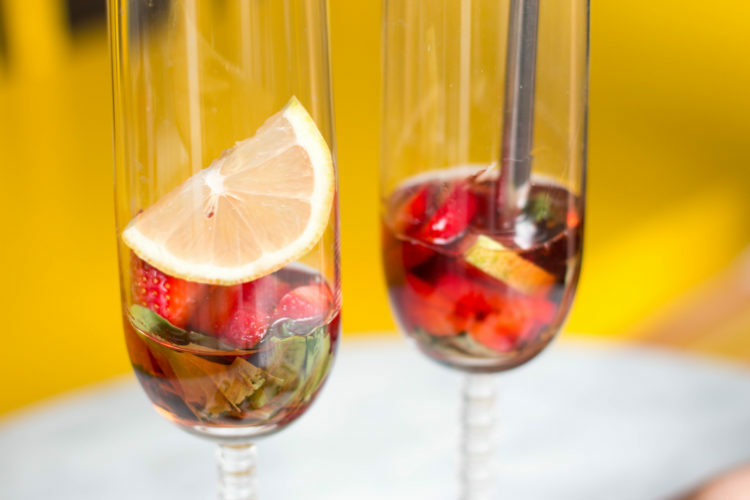 5) Top with club soda. Garnish with fresh lemon slice on rim of glass.